Posted on 8, February 2019 by EuropaWire PR Editors | This entry was posted in Automotive, Environment, Finland, News, Norway, Technology, Transportation & Logistics and tagged battery hybrid propulsion solution, Bellona, cargo, cargo vessel, fuel consumption, Hagland Shipping AS, hybrid propulsion solution, hybrid retrofit installation, marine hybrid propulsion, nitrogen oxide, NOAH, Oivind Wendelboe Aanensen, Paul Kohle, reduce emissions, reduce noise, shipping, ships, short sea shipping, vessel, Wärtsilä. Bookmark the permalink. HELSINKI, 8-Feb-2019 — /EuropaWire/ — Shipping company Hagland Shipping AS to order hybrid retrofit installation from Wärtsilä for its general cargo vessel ‘Hagland Captain’. The agreement between the two companies has been signed in December 2018 and the project will be first of its kind ever in short-sea shipping applications. Wärtsilä will install its battery hybrid propulsion solution on the cargo vessel to significantly enhance its environmental performance by reducing its emissions, fuel consumption, and noise. 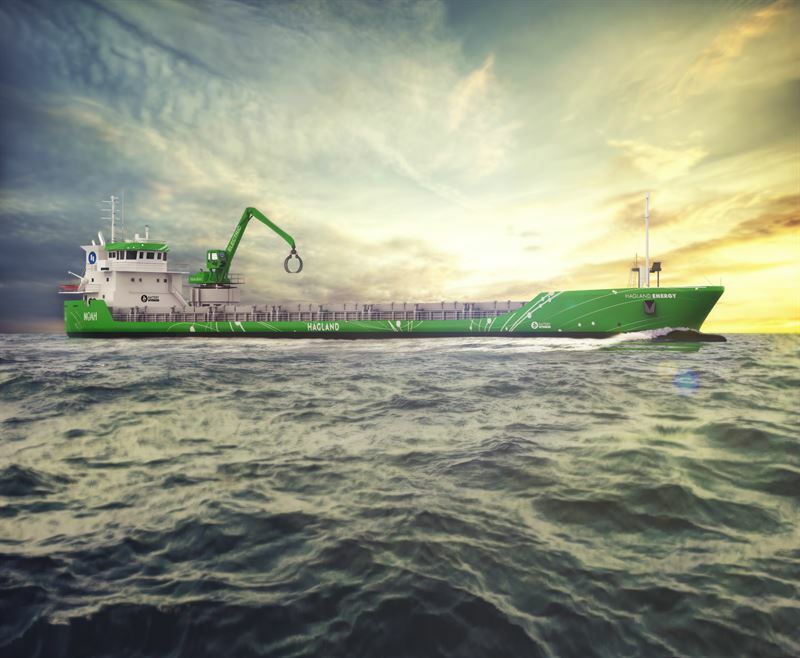 The project includes technologies and solutions like shore power connection to provide power for loading/unloading operations and for battery charging, a new reduction gear with power take-off (PTO) and power take-in (PTI) technology, and a Wärtsilä NOx Reducer (NOR). Wärtsilä’s hybrid solutions are based on fully integrated hybrid power module that marks a new frontier in marine hybrid propulsion. The system combines engines, an energy storage system using batteries, and power electronics optimised to work together through a newly developed energy management system (EMS). The total reduction in nitrogen oxide (NOx) emissions after the retrofit is expected to be as much as 80 to 90 percent. Additionally, 5 to 10 percent in fuel cost savings are expected as well. The battery capacity will provide enough energy for the vessel to sail in and out of harbour entirely on electric power for approximately 30 minutes thus reducing both noise and pollution levels in the vicinity of the harbour. Environmental requirements for shipping of materials to the island of Langøya in Norway has led to Hagland Shipping having their ship retrofitted to meet this requirement. The non-profit NGO, Bellona has provided valuable input to the project concept.